A man panhandles in the median strip on a street in Portland, Maine, in 2017. A federal judge in Arkansas ruled Tuesday that a law forbidding panhandlers to physically interact with people in cars is unconstitutional. When a panhandler approaches a car in the intersection — his hand out, his eyes wide — that physical interaction is protected by the First Amendment, a federal district judge ruled Monday when he threw out an Arkansas city’s panhandling ban. It’s the latest such ban to be found unconstitutional since a 2015 Supreme Court decision made it harder for the government to pass laws having to do with the content of speech. That case, Reed v. Town of Gilbert, had to do with regulating church signs, but courts around the country have cited the case as they strike down panhandling laws. To contend with an increase in panhandling at busy intersections, the city of Hot Springs in 2016 passed an ordinance imposing “an absolute ban” on solicitation on streets or in medians. After the American Civil Liberties Union sued, the city repealed the ordinance, according to the Arkansas Democrat-Gazette. In 2017, the city passed a new version of the ordinance. This one eliminated all references to panhandling, and instead made it illegal for pedestrians or the occupant of a motor vehicle to “interact physically” while the engine was running on a public roadway. “Putting your hand out expresses you need money,” attorney Bettina Brownstein, who handled the case for the ACLU, told NPR. “Unless they’re obstructing your traffic, your car, or assaulting you in some way,” the speech is protected, she said. But people in their cars may be uncomfortable when panhandlers approach but aren’t truly being threatened, said Brownstein. And the First Amendment “takes precedence over everything” – even the right of people to feel comfort in their cars, she said. “We respect the Court’s decision,” Hot Springs attorney Brian Albright said via email. “However, the safety of pedestrians and motorists are still a concern for the City.” Albright said it’s too early to say whether the city will appeal the ruling. The Reed case “has placed literally every panhandling ordinance in the United States at least under risk,” said First Amendment scholar Enrique Armijo, associate dean for academic affairs at Elon University School of Law. 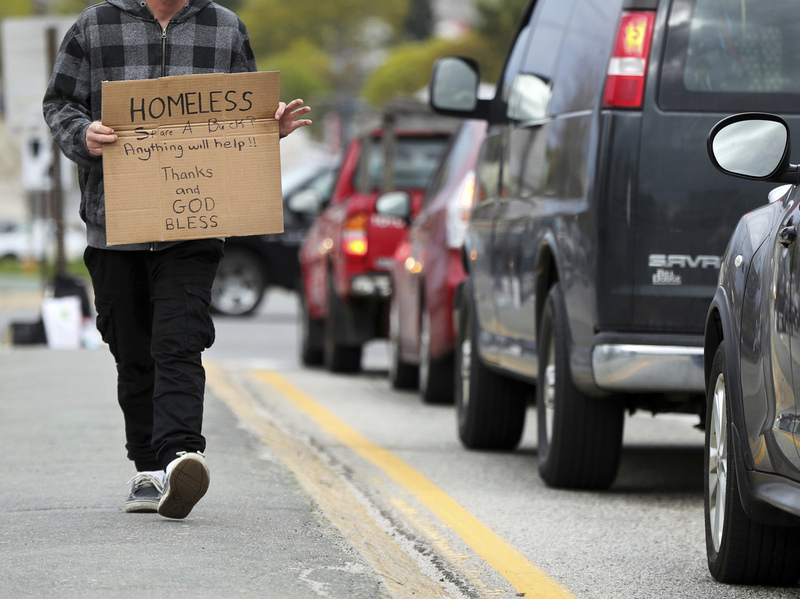 Plenty of cities around the country have seen their panhandling laws struck down, Armijo said. Others have changed them to try to fit the new constitutional landscape. Hot Springs “did a better job than most cities with respect to defining the banned activity in a way that refers more to the conduct than the speech,” said Armijo, who thinks the judge’s ruling could be overturned on appeal. “It reads the First Amendment a little too broadly, given precedent,” he said. NPR’s Ari Shapiro talks with Miami Herald reporter Nicholas Nehamas about an arrest of a Chinese woman carrying a USB drive with malware into President Trump’s Mar-A-Lago club. 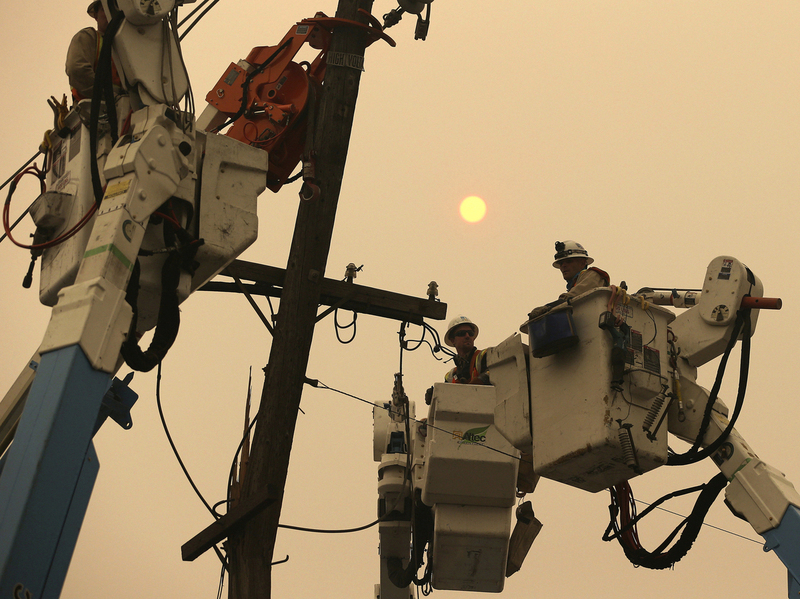 PG&E crews work to restore power lines in Paradise, Calif., after the Camp Fire destroyed much of the Northern California town. A federal judge in San Francisco is barring utility giant Pacific Gas and Electric from reissuing dividends in favor of using the funds for reducing the risk of catastrophic wildfires in Northern and Central California. U.S. District Judge William Alsup, in a court hearing Tuesday, also said that he will closely monitor PG&E’s compliance with new wildfire prevention rules governing tree-trimming near power lines. Alsup is supervising the utility company’s felony probation stemming from its conviction in the case of a massive natural gas pipeline explosion in 2010. The judge’s order does not include the stringent condition requiring PG&E to inspect its entire power grid as he originally proposed. PG&E initially had resisted the plan, arguing that it had already suspended dividends in 2017. The dividend payments may not resume without Alsup’s permission. In February, PG&E said that it’s “probable” that it was responsible for the 2018 Camp Fire that killed at least 85 people and destroyed about 14,000 structures. The company, facing billions of dollars in possible liabilities filed for bankruptcy in January. Alsup is also presiding over that filing in separate proceedings. 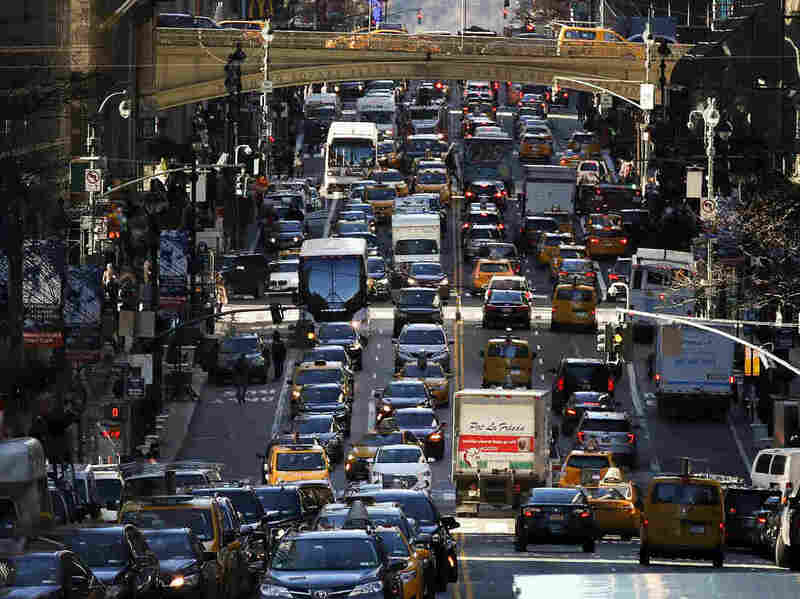 After gaining approval by state lawmakers, New York will become the first city in the U.S. to levy fees on motorists to drive on some of its most congested streets. Here, traffic along 42nd Street in Midtown Manhattan in January 2018. New York will likely become the first major city in the U.S. to implement a charge for motorists entering its most traffic-clogged streets. The plan? To reduce gridlock while generating revenue for the city’s stressed transit system. State lawmakers approved the deal on Sunday night, and the new tolls are slated to go into effect in 2021. The tolling is expected to generate $15 billion, dedicated to funding the MTA, New York’s transit authority. The plan will be what’s known as “cordon pricing,” in which motorists pay to enter a zone. In this case, that zone will be Manhattan south of 60th Street. The precise charges levied have not yet been announced. A task force convened by the governor last year suggested different flat fees for cars and trucks. In New York, automobiles move slowly these days, with drivers and bus riders moving an average of 9 miles per hour in the last mile of their journeys. Cities including San Francisco and Seattle are also considering congestion pricing to unsnarl their own traffic-clogged streets. New York’s experience “will be an important precedent for the conversations happening in other U.S. cities,” Corinne Kisner, executive director of the National Association of City Transportation Officials, told The Wall Street Journal. The city’s plan, unsurprisingly, has elicited a backlash from some corners – such as New Jersey. “[W]hy should NJ not implement a commuter tax on NYC residents leaving NYC that exempts NJ residents so WE can fund our transit. Reality is any commuter tax should be a regional convo not just NY,” tweeted Jersey City Mayor Steven Fulop. Sam Schwartz, a traffic engineer and former NYC traffic commissioner known as “Gridlock Sam,” told NPR last week that the toll for cars will likely be a charge of $10 to $15. Tolls will be variable and passenger vehicles will be charged once per day. Drivers entering the zone would be automatically charged via their E-ZPass or billed via their license plate number. Still to be hammered out by lawmakers is what exemptions may be granted. A wide range of them are being considered, from exemptions for disabled people to exemptions for motorcycles. Any exemptions could be exploited, as at least one observer noted. And for each exemption that’s carved out, less revenue will generated and impact on congestion will be smaller. New York’s move comes more than 15 years after London implemented fees on vehicles entering its central business district. The fees made an immediate and significant dent in congestion. “Within a year of the fees being charged in 2003, the number of vehicles entering an eight-square-mile area of London dropped by 18 percent, according to city officials. Traffic delays went down 30 percent. The average speed of vehicles in the zone rose to 10 miles per hour from 8.8 m.p.h.,” The New York Times notes. There was an environmental effect, too, “with a 12 percent reduction in emissions of nitrogen oxides and particulate matter from vehicles in the zone.” Stockholm and Singapore have also implemented congestion fees. But London’s gains are being threatened by a rise in private hire vehicles – such as those driven for Uber — which are exempt from paying the congestion fee. The number of such vehicles licensed in London jumped from about 50,000 in 2013 to nearly 88,000 last year. And in the U.S., many states have introduced new toll roads or increased rates on existing turnpikes to raise money for infrastructure projects. 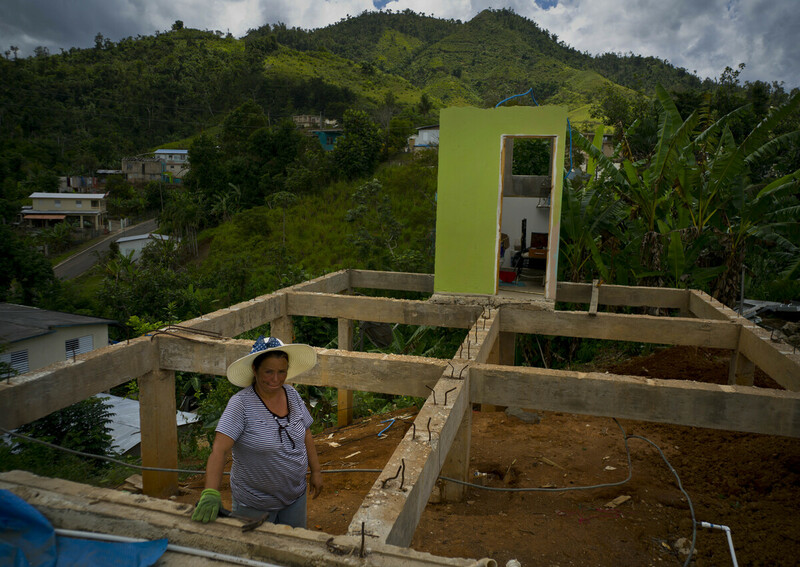 In this Sept. 8, 2018, photo, Alma Morales Rosario stands between the beams of her home, being rebuilt after it was destroyed by Hurricane Maria in the San Lorenzo neighborhood of Morovis, Puerto Rico. There are a few things Democrats and Republicans in Congress usually agree on, but one of them is rushing federal money to victims of natural disasters. That sentiment crumbled this week when the Senate failed to advance two separate disaster funding bills. Both included bipartisan funding to help relieve damage across the country from flooding, wildfires, tornadoes and hurricanes. But a fight over assistance for Puerto Rico has derailed getting a deal on the entire package. The political fight intensified last week after President Trump told Senate Republicans in a closed-door lunch at the Capitol that he would not support sending any additional money to Puerto Rico, according to several people familiar with the conversation. Democrats, who had already been pushing for additional federal resources for Puerto Rico, responded by insisting that any disaster spending bill must help victims no matter where they reside. Democrats say Trump is refusing to release money to help Puerto Rico continue to rebuild more than a year after a pair of hurricanes devastated the island territory. Republicans say they they will support more food assistance for Puerto Rico and are calling on Democrats not to hold the rest of the bill hostage as they push to add money for other programs. Senate Appropriations Committee Chairman Richard Shelby, R-Ala., told reporters Tuesday that lawmakers have made virtually no progress on overcoming the impasse. Talks effectively ended on Monday night after the Senate failed to advance either of the two bills. All but one Democrat, Sen. Doug Jones of Alabama, opposed a procedural vote to begin debate on a $13.5 billion spending package for victims of natural disasters. The GOP-backed plan included $600 million in nutrition assistance for Puerto Rico, but left out additional money Democrats say is necessary to aid hurricane recovery on the island territory where some residents are still rebuilding homes and basic services, like internet connections and electricity, have not yet been fully restored. The GOP plan also included resources to address damage from recent floods in the Midwest. Republicans then blocked a $14 billion alternative supported by Democrats that passed the House in January. By Tuesday, Democrats blamed the failure entirely on Trump. Schumer and other Democrats say they could have worked out an agreement with GOP Senators if Trump had not ruled out sending additional funding to Puerto Rico. Trump has said that Puerto Rico is already receiving sufficient money. He tweeted Tuesday that the island territory has benefited from $91 billion, a figure Democrats dispute. Puerto Rico got 91 Billion Dollars for the hurricane, more money than has ever been gotten for a hurricane before, & all their local politicians do is complain & ask for more money. The pols are grossly incompetent, spend the money foolishly or corruptly, & only take from USA…. ….The best thing that ever happened to Puerto Rico is President Donald J. Trump. So many wonderful people, but with such bad Island leadership and with so much money wasted. Cannot continue to hurt our Farmers and States with these massive payments, and so little appreciation! Democrats say that number represents the amount of money Puerto Rico should have access to over the lifetime of their recovery — expected to take decades — not money the island already received. They also argue that Trump administration officials have been slow to process requests for money that Congress already approved. They are particularly frustrated that administration officials haven’t issued rules and regulations to allow Puerto Rico to spend $28 billion in rebuilding funds for low-income areas that were approved last year. Last year, the Department of Housing and Urban Development announced plans to allocate nearly $16 billion money, including $8.3 billion earmarked for Puerto Rico, but the rules must be issued first, according to a senior Democratic aide. Democrats say they aren’t willing to budge on their demands and Republicans are unwilling to negotiate. One option Democrats offered was to pair additional money for Puerto Rico with a larger amount for victims of disasters in the Midwest. But Republicans are not interested. “The president apparently is not amenable to that at the moment,” Shelby said. The fight is already driving fears that spending negotiators will have a difficult time working together on any spending bills going forward. 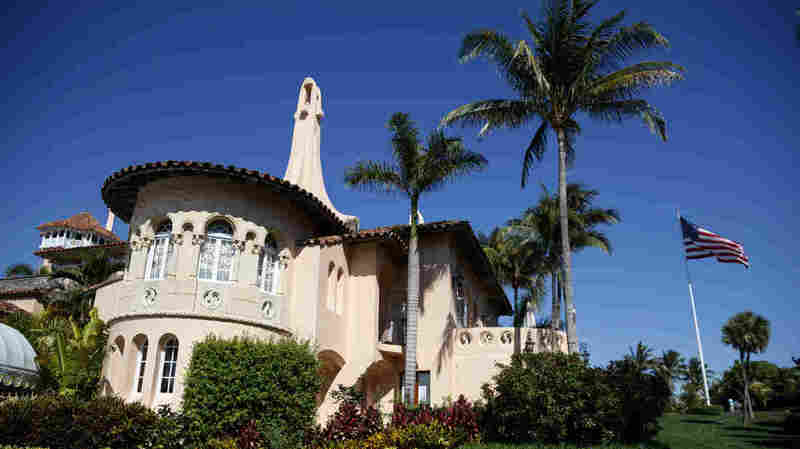 A view of Mar-a-Lago on Friday, March 22, 2019, in Palm Beach, Fla. An unauthorized woman has been charged with attempting to gain access to the president’s private golf club. A woman carrying two Republic of China passports has been charged after allegedly lying to Secret Service agents to gain access to President Trump’s private Mar-a-Lago club while he was there last weekend. The woman, Yujing Zhang, has been charged with making false statements and illegally entering a restricted area. Information about her case appeared in a criminal complaint that became public on Tuesday. Many details about her weren’t immediately clear — for example, whether she is from Taiwan or from mainland China; she told investigators she had come to Florida from Shanghai. Zhang briefly entered Mar-a-Lago after telling a Secret Service agent guarding the property that she was there to visit the pool, according to the criminal complaint. Once inside the club, Zhang told a different Secret Service agent that she was there to attend a “United Nations Chinese American Association” event later in the evening. No such event was scheduled and the club’s managers said she was not on any list authorizing her to be there. Zhang was detained, and later told agents that a “Chinese friend” had told her to travel to Mar-a-Lago and speak with a member of Trump’s family about U.S.-Chinese economic relations. Zhang was carrying the two passports, four cellphones, one laptop computer, an external hard drive and a thumb drive that contained “malicious malware,” the criminal complaint said. Zhang, authorities said, did not have a swimsuit in her possession. Officials at the Justice Department’s headquarters in Washington, D.C., had no comment about the case. A federal public defender representing Zhang declined to comment to the Miami Herald. NPR’s Audie Cornish talks with Obama administration adviser Valerie Jarrett about her early life and her work in the White House. In the past year, utilities have shifted away from coal at near historic rates, a trend that may accelerate as more states push for cleaner energy. Now some lawmakers are stepping in to try and slow down this shift. NPR’s Audie Cornish talks with Politico reporter Jesús Rodríguez about how the Spanish-language websites of many Democratic presidential candidates appear to be mostly Google translations. Baltimore Mayor Catherine Pugh is taking an indefinite leave of absence. The mayor cites health reasons, but it also comes as questions swirl around her about a children’s book scandal.